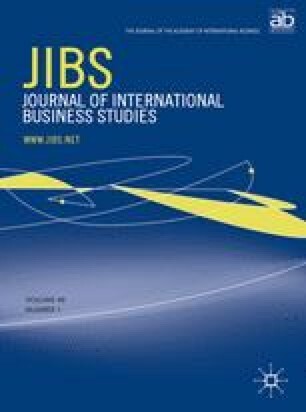 In this article, we present a springboard perspective to describe the internationalization of emerging market multinational corporations (EM MNEs). EM MNEs use international expansion as a springboard to acquire strategic resources and reduce their institutional and market constraints at home. In so doing, they overcome their latecomer disadvantage in the global stage via a series of aggressive, risk-taking measures by aggressively acquiring or buying critical assets from mature MNEs to compensate for their competitive weaknesses. We discuss unique traits that characterize the international expansion of EM MNEs, and the unique motivations that steer them toward internationalization. We further delineate peculiar strategies and activities undertaken by these firms in pursuit of international expansion, as well as internal and external forces that might compel or facilitate their propulsion into the global scene. We finally explain the risks and remedies associated with this international ‘springboarding’ strategy and highlight major issues meriting further investigation. Accepted by Arie Y Lewin, Editor-in-Chief, January 2007. This paper has been with the author for two revisions. UNCTAD (2004b) Outward FDI from Brazil: Poised to Take Off?, Geneva: United Nations, Geneva, (www.unctad.org/en/docs/iteiia200416_en.pdf). UNCTAD (2004c) India's outward FDI: A giant awakening?, United Nations, Geneva, (www.unctad.org/sections/dite_dir/docs//diteiiab20041_en.pdf).